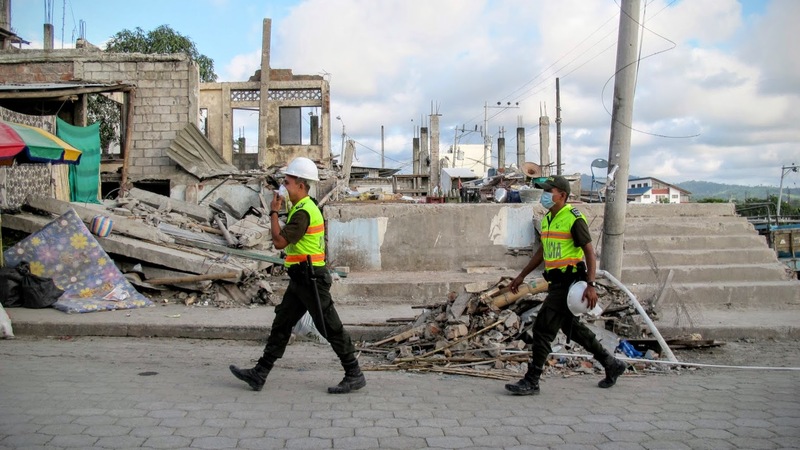 On April 16, 2016, a 7.8 magnitude earthquake struck Ecuador’s northern Pacific coast, resulting in more than 650 deaths, thousands of injuries, and damage that left more than 22,000 people homeless. Direct Relief established immediate contact with the Ecuadorian Ministry of Public Health and offered assistance in the form of emergency medicines and medical supplies. Direct Relief’s extensive inventory of medical resources – prescription medications, health-related supplies, hygiene products – were available as a result of in-kind donations from leading pharmaceutical and consumer health companies with which Direct Relief partners on an ongoing basis, including Baxter International Inc., BD, Johnson & Johnson, Abbott, and Unilever. On April 29th, Direct Relief chartered a 767 cargo aircraft to deliver more than 47 tons of medications and supplies worth more than $2.1 million (wholesale) to Ecuador. Direct Relief’s in-country partners, including Patrulla Aerea Civil Colombiana (PAC) and the Ecuadorian Red Cross, as well as the Ecuadorian Ministry of Public Health, helped identify and distribute the emergency medicines and supplies to hospitals and facilities caring for people affected by the earthquake in 16 cities throughout Ecuador’s northern Pacific coast. FedEx supported Direct Relief’s disaster response with trucks to transport medicines and supplies to facilities servicing earthquake survivors in the most remote and rural regions of the county. The Ecuadorian Ministry of Public Health advised that Direct Relief’s shipment was the single largest infusion of emergency medical aid received by Ecuador following the Earthquake. Direct Relief’s response is always excellent. That this foreign organization responded with such solidarity and so quickly to the terrible crisis that Ecuador suffered in the earthquake, having expressed their solidarity so quickly and generously, fills us with gratitude. Medicines, supplies, and other materials for first aid, sent were exactly what we needed, and allowed us to serve more injured people in the hospital of La Junta de Beneficencia.” — Dr. Luis Sarrazin, former Minister of Public Health of Ecuador and medical advisor for La Junta de Beneficencia. La Junta de Beneficencia was one of Direct Relief’s beneficiaries of the 47 tons of medical aid delivered to Ecuador shortly after the earthquake that struck on the 16th of April 2016. As it has done on an ongoing basis before the earthquake, Direct Relief will continue to meet requests for medical assistance from health facilities and organizations serving the most vulnerable people in Ecuador. Direct Relief’s support will help strengthen the resilience of the health system as the country rebuilds damaged infrastructure and continues to care for those impacted by the earthquake.